SUZUKA, Japan, Sunday, Oct. 8, 2000-Michael Schumacher clinched his third FIA Formula One World Championship with a victory over Mika Hakkinen in the Japanese Grand Prix on Oct. 8. Schumacher is the first Ferrari driver to win the championship since Jody Scheckter in 1979. "It's difficult to find the proper words for such a feeling," Schumacher said. "There was such an outbreak of emotion initially, when I crossed the line. "The conditions today were so difficult: rain, then no rain, then a little bit and a little bit more. (Then we had) the ups and the downs going through the season...and then finally to achieve (the championship) with a victory...and the way we did it (with) the fight went to the last corner, thanks to Mika. He could have made it a bit easier for me! It was simply...outstanding, and there are no words to explain it better than that." Schumacher won the championship with Benetton in 1994 and 1995 before joining Ferrari in 1996. He is the 10th driver to win the championship driving for Ferrari since 1950. His victory in Japan was his eighth of the season and the 43rd of his career. Hakkinen's best chance of keeping the championship alive until the season finale in Malaysia in two weeks was to win in Japan. Hakkinen took the lead at the start despite pole sitter Schumacher's best efforts to get ahead into the first turn. Once in front in his West McLaren-Mercedes, Hakkinen managed to pull out a two-second lead over Schumacher. 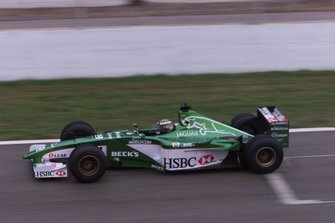 A light rain began to fall midway through the race, and while it was not heavy enough to force the drivers to pit for rain tires, it did allow Schumacher to close the gap on Hakkinen. The turning point of the race came during the second round of pit stops. Not only did Schumacher have a quicker stop, he also had quicker in and out laps than Hakkinen when he pitted. After his pit stop, Schumacher came out ahead of Hakkinen, took the lead and held it until the end of the 53-lap race. "When we saw Mika going in for his pit stop," Schumacher said, "we knew we had a couple more laps to go. We also knew they would be the two crucial laps. The problem was the traffic. 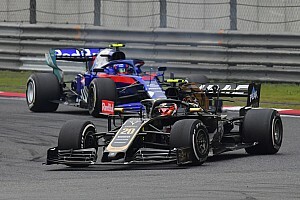 I wouldn't say it was too easy to pass, because it cost me a little bit of time, and then when I entered the pits there was a Benetton spinning in front of me, moving backward, and I didn't know where he was going to go. "It was spitting with rain, and I wasn't going as fast as I should have been. Then when I came in, Ross (Brawn) was giving me an update, saying, 'It 's looking good.' But I was just waiting for the words, 'It's not looking good enough,' because (from the pits) you cannot see where your competitor is. But then he said, 'It's looking very good.' "That was obviously an amazing moment. And from then on, you hope that nothing breaks on the car. But the rain was still going on and off again, which isn't helpful, because the man in front doesn't want to make a mistake, while the man behind has nothing to lose. He has to keep pushing. That wasn't the ideal circumstance. But at the end of the day, it doesn't matter whether it is ideal or not: It was enough." Traffic and the rain-slicked track slowed Hakkinen. "When I went back (into the race after my pit stop), first of all I had traffic," Hakkinen said. "Then at the same time it started raining again, a little bit more, so I was sliding all over the place, and I wasn't able to get the grip from the (new) tires. That gave Michael an opportunity to get in front of me at the second stop. After that, it was a matter of trying to go flat out and to keep up. On his final lap, Michael probably slowed down, while I went over the limit, just trying to catch him on the last lap. I got quite close, but it wasn't enough." Ferrari has scored nearly enough points (156) to nearly clinch the Constructors Championship over McLaren-Mercedes, which has 143 points. But that championship will not be settled until the final Grand Prix of the season Oct. 22 in Malaysia. Schumacher averaged 128.812 mph (207.316 km/h) to finish the 53-lap, 192.995-mile (310.596-km) race in one hour, 29 minutes and 53.435 seconds. His margin of victory was 1.837 seconds. MICHAEL SCHUMACHER (Ferrari, winner) (Comparing this year's championship won in a Ferrari to the 1994 and 1995 championships he won for Benetton): "The conditions, the circumstances of this one and 1994 are very different. But 1995 and 2000 are very similar because they both happened in Japan; they happened after a very close battle. Also, in the second last race at Aida, I think I also only got up front after the second pit stop, and I made the championship through a victory. 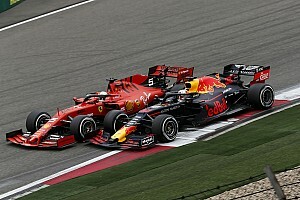 But here (at Ferrari) we have been working for five years, getting very close three times and not making it three times. That obviously adds certain emotions. Therefore it is not comparable to any of them. It is simply outstanding. Sorry to say this, but also the history of Benetton is not as great as the history of Ferrari. Therefore it has much more meaning to me." MIKA HAKKINEN (West McLaren-Mercedes, second): "Congratulations to Michael. It has been a great season, very tough. It has definitely been very interesting, too, with lots of ups and downs for us. On the other hand, I understand that (eventually) it is another driver's turn to win. And to be a good winner, sometimes you also have to be a good loser. That doesn't mean you have to be very happy about coming second or losing, but (it's good) to allow some enjoyment and pleasure for the driver who has won. That is for Michael at the moment. He has done the best possible job this year, while we weren't able to do it. Naturally, I feel a bit disappointed. But at the same time I (have the memory) of having won two years in a row, in 1998 and 1999. Life, and racing, continue. We have to keep fighting, and I am sure we will see exciting racing in the future, too." 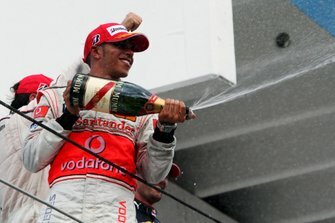 DAVID COULTHARD (West McLaren-Mercedes, third): "I had a very quiet race, all the way from the start. I didn't have too much of a battle, and for me it was just a question of trying to keep the car on the track in what were very difficult conditions." RUBENS BARRICHELLO (Ferrari, fourth): "I am happy for the team. I feel that with all the work I have done at the races and testing and in collaborating with the engineers, I have contributed to this great day for Ferrari." Rahal observes: Former Indianapolis 500 winner Bobby Rahal, who will assume the position of chief executive officer and team principal of Jaguar Racing on Dec. 1, came to the Japanese Grand Prix to observe the workings of the team. "I've been sitting in on the debriefings just to see how they work," Rahal said. "The big thing is just to get a sense of how things work and the flow of things on a weekend. "The last thing you want to do us just walk in and start making decisions or sweeping the decks. Until you know where the problems seem to lay, you just kind of sit there and just observe. So that is what I've been doing at (the SAP United States Grand Prix) at Indy and here in Japan." Alesi confirmed: Jean Alesi will return to the Prost team for second season in 2001. His teammate will be Nick Heidfeld, who joins the team on a three-year contract. Zonta to test: Ricardo Zonta will be the Benson & Hedges Jordan-Honda test driver next year. The Brazilian spent his first two F1 seasons as a race driver at British American Racing. Gascoyne released: The B&H Jordan team has released technical director Mike Gascoyne from the remainder of his contract, which runs until July 2001. Mild Seven Benetton has hired Gascoyne. "Flavio (Briatore) has been asking me to release him," B&H Jordan owner Eddie Jordan said, "and I thought that (Mike was) in an inhumane situation because it was quite clear that he felt handcuffed at Jordan. I felt he would be much happier in a new home with Flavio." 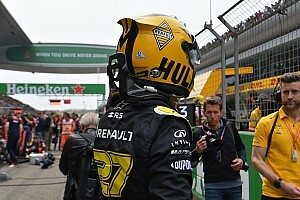 Briatore commented: "Mike is part of the new structure of the team, which Renault has always said will only be ready in 2002. We have two years - 2001 to 2002 - to get the right people and to put the team together. We will continue this process until we feel the team has been set up and is ready to be competitive." Penalties: Officials took away Pedro Diniz's two fastest qualifying times as punishment for his actions Saturday morning. 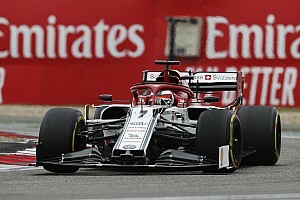 The engine on his Sauber caught fire and started dumping oil on the track, and he continued driving for half a lap before pulling off. Two cars spun off in Diniz's oil. Johnny Herbert, meanwhile, was fined $3,000 for pit lane speeding Saturday. New tire: Bridgestone brought a new dry-weather tire compound to Japan. 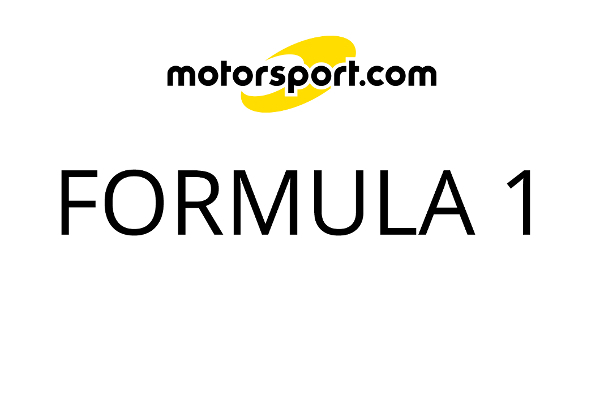 "This is a totally new compound and is very different from the other medium-compound tires we have been using during the season," Bridgestone Motorsport's technical manager Yoshihiko Ichikawa said. "This new tire produces more grip than the previous medium-specification tire. "We did not have our normal choice of two compounds. We decided to bring only one compound to Japan as everyone would have chosen this new medium tire if they had been offered the normal choice of two compounds." Salo visits Toyota: Mika Salo recently paid a visit to Toyota's racing factory in Koln, Germany. "It was the first time I was able to go in through the front door," said Salo, who will drive the Toyota F1 car in 2001. "It was quite nice, and I was impressed with everything there. There is so much space inside the factory that you could build an indoor circuit there if you wanted to. I met everybody who is working there. I am very impressed with what they have there."